This beautiful bespoke piece has been designed and created by hand right here in the studio. The Opal gemstone has been set in a rub over setting with Diamonds pave set either side of the stone into a solid Rose Gold band. The Opal is said to be the stone of love, and the blush rose tones of the band certainly turns up the romantic feel of this gorgeous ring. Legend has it that the Opal gemstone captures the imaginative spirit of charm, purity, innocence and hope. To ancient Romans, the Opal was a symbol of love and hope and in the middle east, Arab myths say that the stone fell from the heavens in flashes of lightning, containing the wonders of the skies. 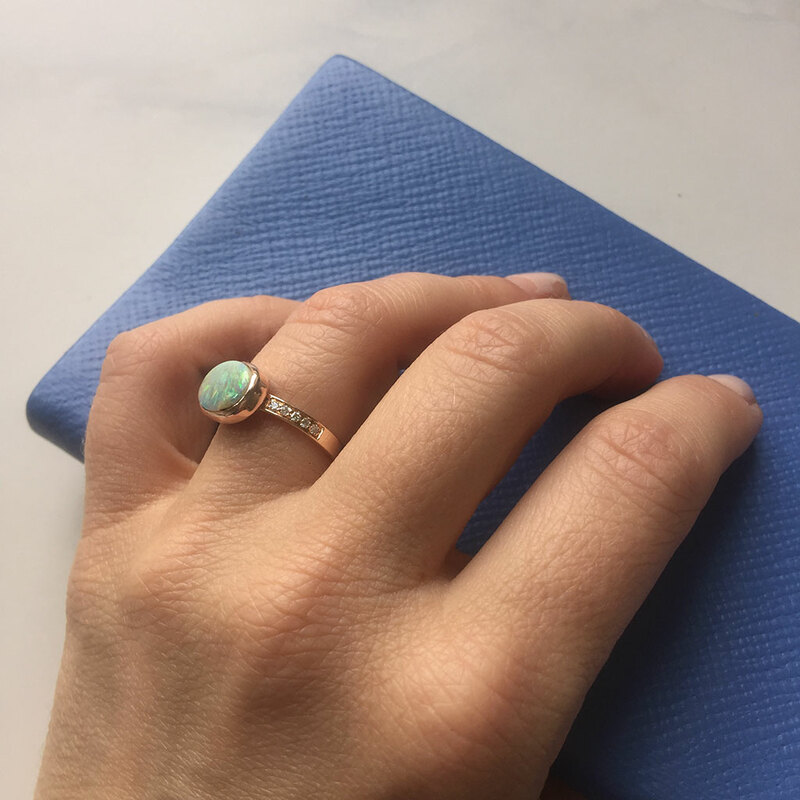 Famous for its variety of colours and the way the Opal plays with light, shifting and moving across the surface, the rose gold band of this ring brings out the pinky tones of the Opal gemstone.